Very popular city centre hotel with 289 rooms spread over 18 floors. The hotel has a fitness centre, swimming pool, restaurant, coffee shop and night club. The rooms are very large. 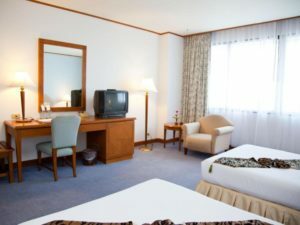 the twin rooms are 39 sqm and the deluxe rooms are 44 sqm, compared to an average 4 star room size of 28 sqm in Bangkok. This hotel is great value for money. All rooms include Asian buffet breakdown, free WiFi, satellite TV, minibar and separate bath tub. In the evening there is live music at the terrace restaurant. The Maison de Cheer is a medium sized hotel with 59 rooms spread over 5 floors. The style of the hotel is very modern with well designed compact rooms with modern furniture. This is a 3 star hotel which does not have a restaurant or swimming pool. What it does have though is rooms 24 sqm to 27 sqm in size with flat screen TV, satellite television, reliable free WiFi, minibar, balcony (great if you like to smoke), and complimentary toiletries. Breakfast is available if booked with the room in advance. 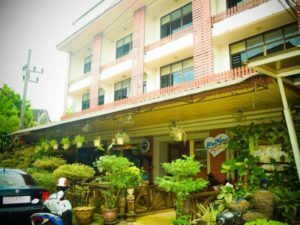 This hotel is also very near the night market in Trang and some small independent restaurants so guests do not have to travel very far to eat in the evening. 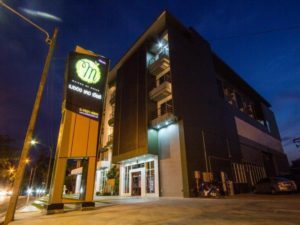 Myfriend Hotel is the closest hotel to Trang Railway Station. This is a small, friendly and very cheap hotel with 35 rooms spread over 4 floors. The hotel has a reception desk, garden area in front of the entrance and no other facilities which is normal for a 2 star hotel in this price range. 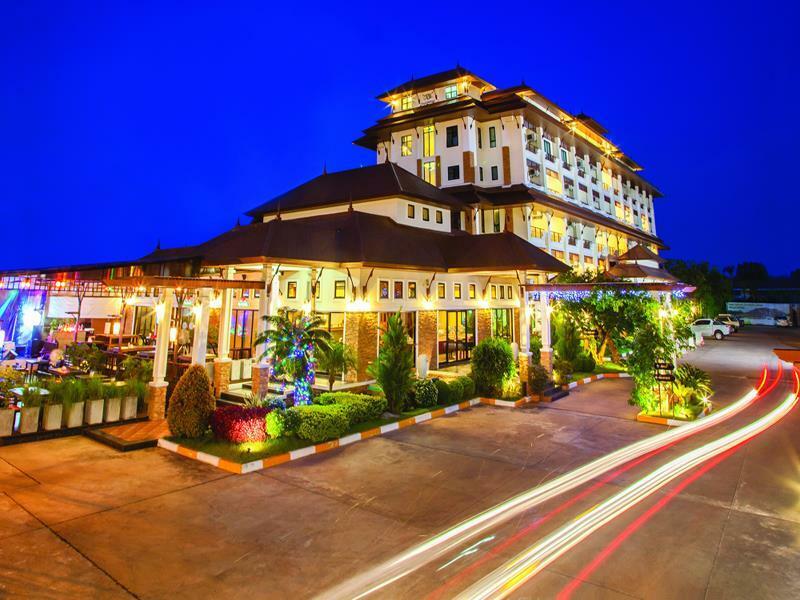 The hotel is though surrounded by shops, restaurants and near the night market so guests do not need to go far to eat or shop. The cheapest rooms are 20 sqm, which is a comfortable room size for 2 people sharing. Rooms are all en-suite, have air-conditioning, strong free WiFi connections, satellite TV and a minibar. The rooms are reasonable decorated and clean, and the majority of the reviews are from satisfied customers. 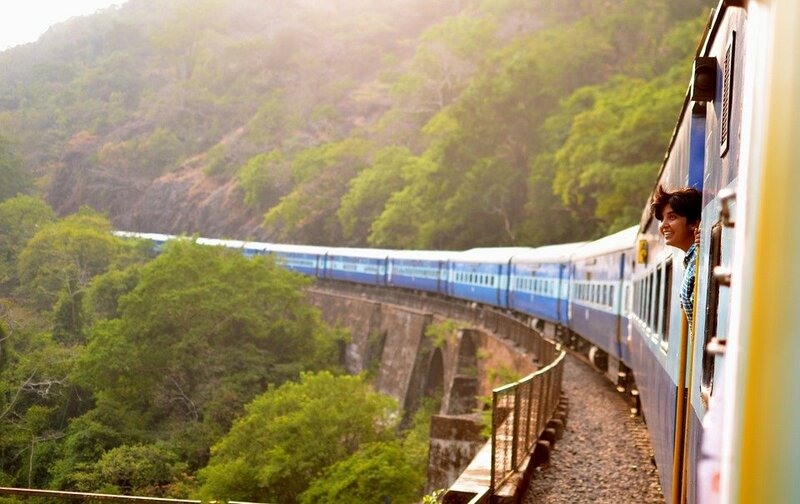 Given the closeness to the train station, the budget price and the nice atmosphere this is a perfect place to stay overnight is you have a late arrival at Trang Train Station or an early train to catch from Trang.